Colorado’s Nov. 6 general election is just 15 days away! – Cannabistical: of or concerning cannabis. Home » 2018 election » Bill Hammons » cannabis policy » CO » Colorado » Congress » Congressional Cannabis Caucus » Congressman Jared Polis » early voting » Election Day 2018 » General » Gov. John Hickenlooper » Legalization » Marijuana » marijuana news » marijuana policy » news about marijuana » Scott Helker » State Treasurer Walker Stapleton » U.S. House District 2 » Vote » Voting » Colorado’s Nov. 6 general election is just 15 days away! The positions of two other candidates, Bill Hammons of the Unity Party of Colorado and Scott Helker of the Libertarian party, are unclear. Neither candidate has a prior voting record on cannabis legislation, nor public statements on cannabis policy. 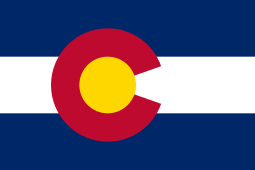 For more information on Colorado’s Election Day, be sure to visit the state’s elections website here. And most of all, be sure to vote this general election in Colorado! The post Colorado’s Nov. 6 general election is just 15 days away! appeared first on MPP Blog.